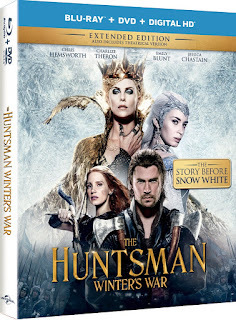 One Momma Saving Money: The Huntsman: Winter's War Comes to Blu-ray and DVD August 23! 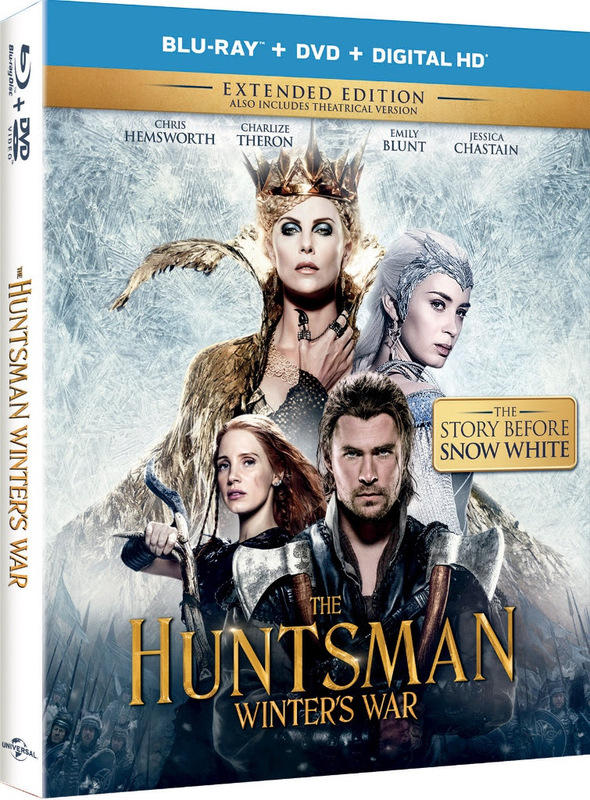 The Huntsman: Winter's War Comes to Blu-ray and DVD August 23! The film will also be available on 4K Ultra HD™ in a combo pack which includes 4K Ultra HD Blu-ray, Blu-ray™ and Digital HD with UltraViolet. The 4K Ultra HDTM will include all bonus features on the Blu-ray disc. Blu-ray™ features high definition picture, theater quality surround sound and exclusive extras. Dressed To Kill – Academy Award®-winning costumer Colleen Atwood returns to help reignite the splendor she brought to Snow White and The Huntsman. A visual feast, her costumes often border on the supernatural in their beauty while helping bring the characters to life. Love Conquers All — From the infectious enthusiasm of director Cedric Nicolas-Troyan to the sisterly bond shared by Emily Blunt and Charlize Theron, the set of The Huntsman: Winter’s War was filled with laughter and life. Actors and artists came together to help create a fairy tale about the pure power of love — and had a blast along the way. Universal Pictures Home Entertainment (UPHE- www.uphe.com) is a unit of Universal Pictures, a division of Universal Studios Universal Studios is a part of NBCUniversal, one of the world’s leading media and entertainment companies in the development, production, and marketing of entertainment, news, and information to a global audience. NBCUniversal owns and operates a valuable portfolio of news and entertainment television networks, a premier motion picture company, significant television production operations, a leading television stations group, world-renowned theme parks, and a suite of leading Internet-based businesses. NBCUniversal is a subsidiary of Comcast Corporation.